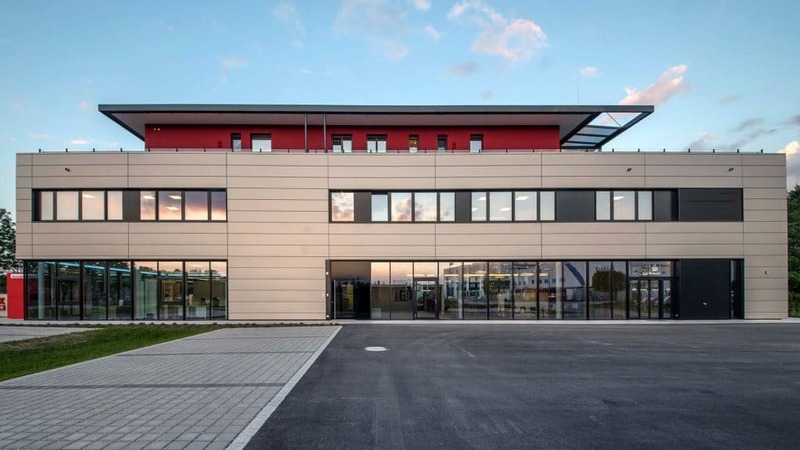 The new Marx Reisen headquarters building in Fridolfing comprises a modern administration building with a travel agency, 25 new office workstations and a training room, as well as a covered bus terminal and waiting area. With total costs of 3.5 million euros, the construction project represents the company's largest single investment to date. 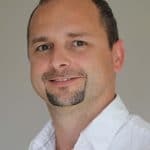 We at Hinterschwepfinger consider architectural design coupled with functionality, technical innovation and sustainability to be the cornerstones of our work. We always rely on strong partners for the realisation of these factors. We have been cooperating with DOMICO for many years. The quality of the products and the reliability of the partner are particularly relevant to us. In the course of our long cooperation, we have also come to appreciate the flexibility in planning and the specific configuration with regard to colours and shapes. This is why we repeatedly work with DOMICO products such as element roofs and element halls, but above all with planum facades. Especially for the Marx Reisen project in Fridolfing, we used the possibilities offered by Planum for individual detailed solutions. In the spirit of corporate architecture, both special colours and special constructions were realised here. 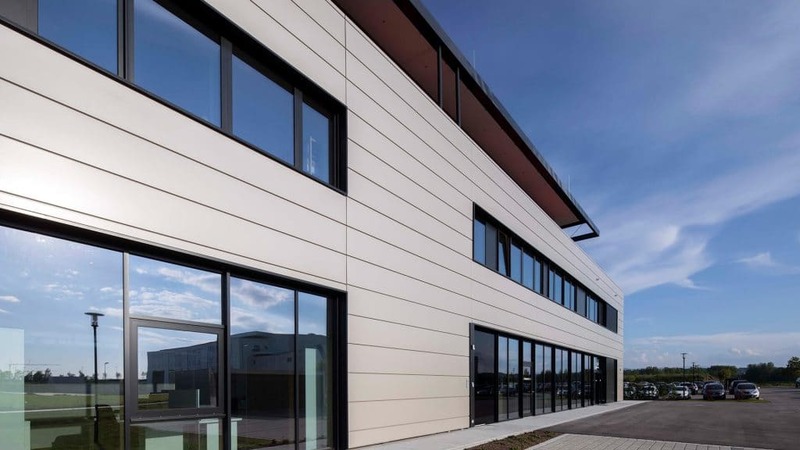 This enabled us to create a modern building which, on the one hand, has a distinctive appearance with its special graphic perforation on the street front. On the other hand, thanks to its clear design and accentuated façade, it has a striking and identity-creating effect. 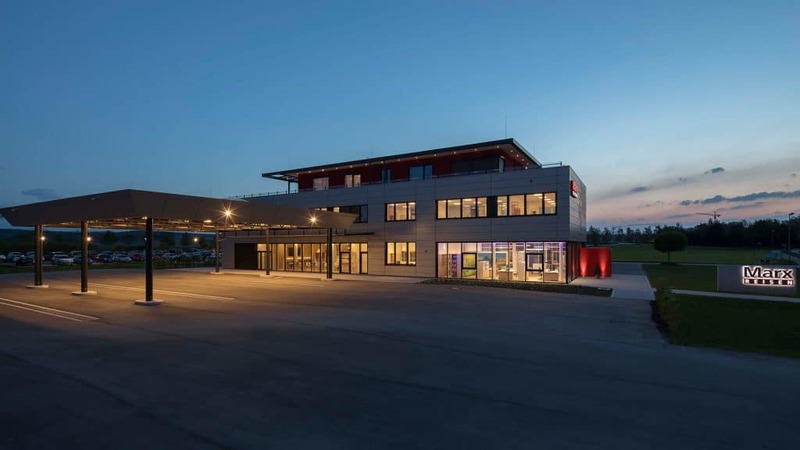 The new Marx Reisen headquarters building in Fridolfing comprises a modern administration building with a travel agency, 25 new office workstations and a training room, as well as a covered bus terminal and waiting area. 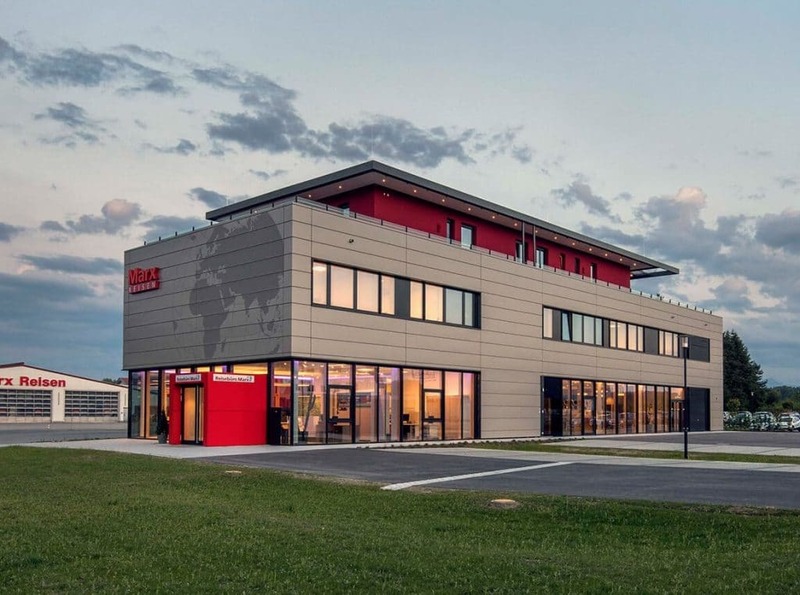 With total costs of 3.5 million euros, the construction project represents the company’s largest single investment to date. Marx Reisen has been an established player in the region’s economy for almost 90 years, and the company’s reputation extends far beyond its borders: in addition to comprehensive travel services, it has made a name for itself primarily with bus and air travel as well as cruise offers. 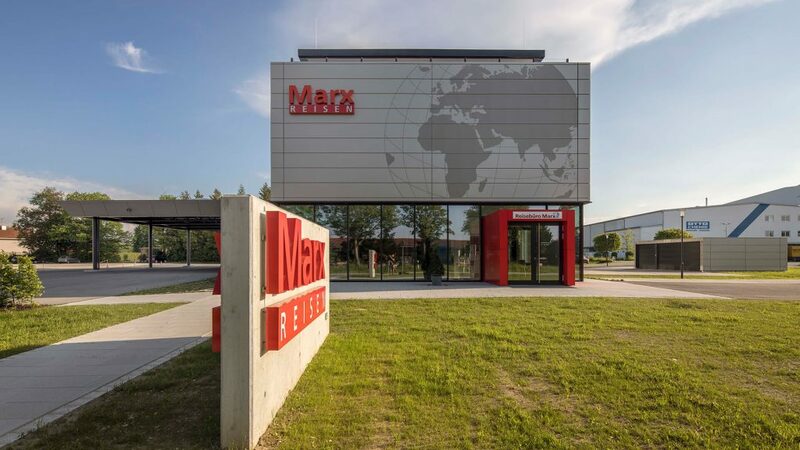 Marx Reisen employs around 80 people at its headquarters in Fridolfing and in six other offices in Upper Bavaria and the Salzburg region. In the centre of the location is the newly constructed administration building with the covered bus terminal and a waiting area designed for approx. 100 people. 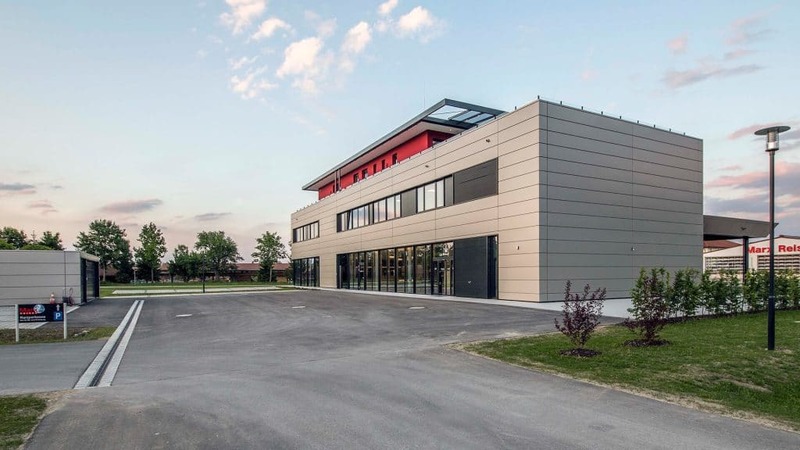 With its clear design, the building not only meets architectural requirements but also meets functional requirements: a travel agency, 25 office workstations, a spacious training room and a café for travel guests have been integrated. Through the linear, open design, our architects created a building that offers both the employees and the customers of the company a pleasant atmosphere. The ground-breaking ceremony for the new building took place at the end of February 2016, and the building was completed in spring 2017. 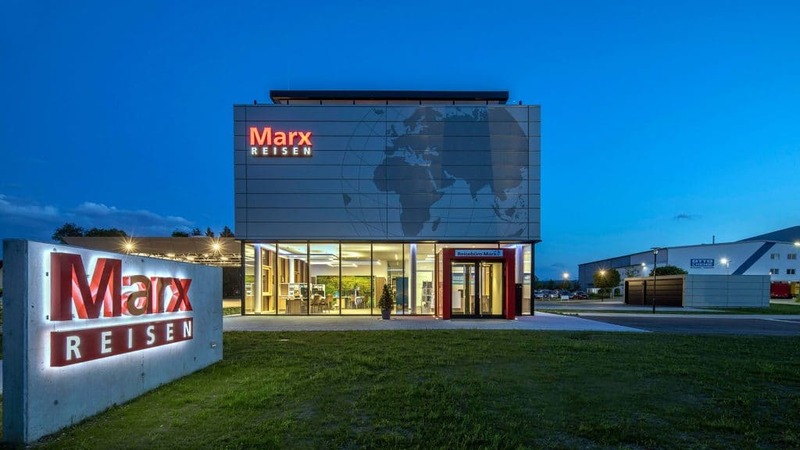 With a volume of 3.5 million euros, the project represents Marx Reisen’s largest single investment to date.